Every jewelry box needs at least one pair of stud earrings, and Colleen's gem-adorned beauties are sure to delight. 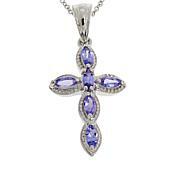 A timeless, wear-with-everything design is elevated by exquisite, sparkling tanzanite. Let these be the studs you reach for on date night, during the workweek and wherever else life takes you. Returned very sm from review on tv. 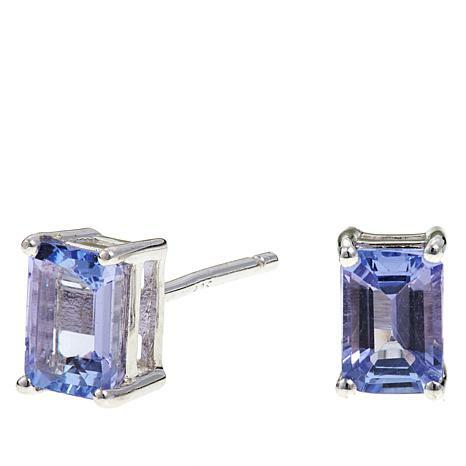 Beautiful Color and the cut brings out the brilliance of the Tanzanite. Very happy I bought these earrings, I highly recommend them. 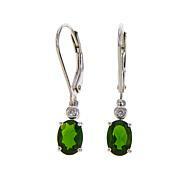 Beautiful but backings seemed to be loose fitting, I choose to wear them and sure enough I lost one. I didn't even get to wear them for 24 hrs. 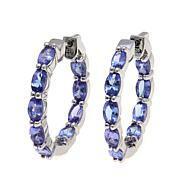 I was hoping these tanzanite earrings would work for me but they did not. Their color was not bold enough so they blended with my skin color. Also, on tv they looked larger than they really were. Therefore, they are going back.